A long long day and I am tired. Tomorrow I will force myself to sit and compose a few paragraphs. 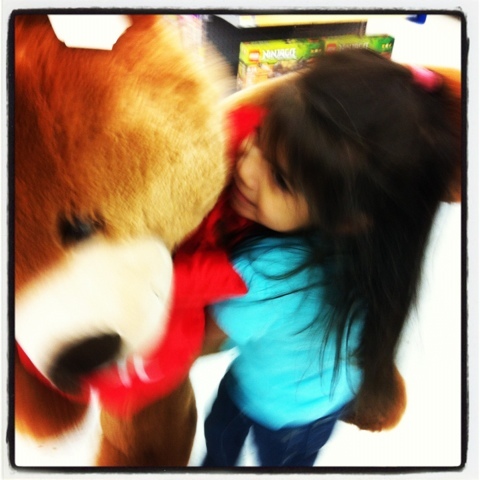 Today I sign off with a picture of my youngest wrassling a bear her size in Walmart. This entry was posted in Instagram, Project 366 and tagged Bears, Instagram, photograph, project 366, walmart. Bookmark the permalink.